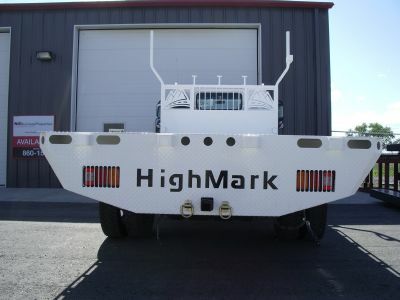 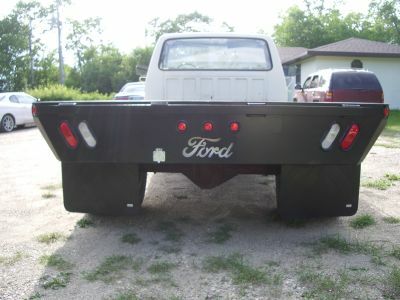 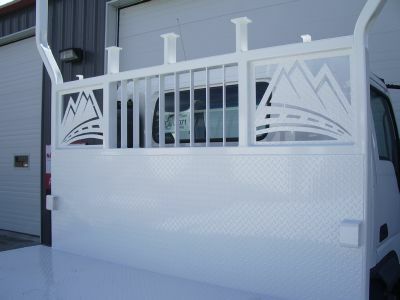 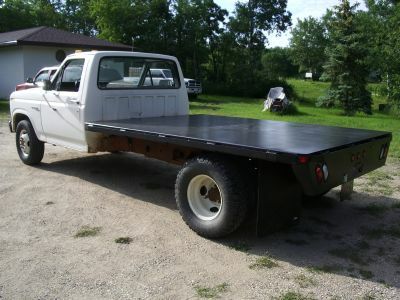 Custom flatbed with the customer’s name and logo on the bed. 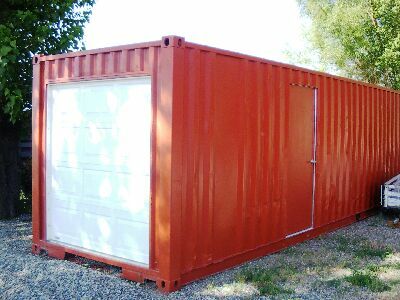 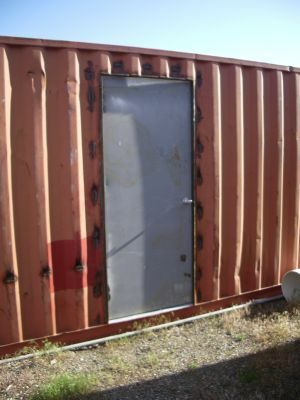 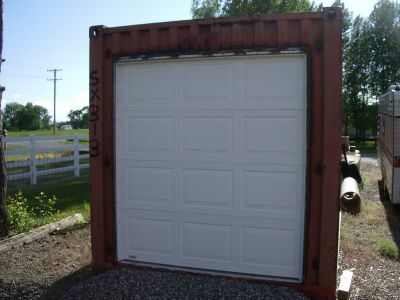 This is a shipping container that we put a garage and walk door in. 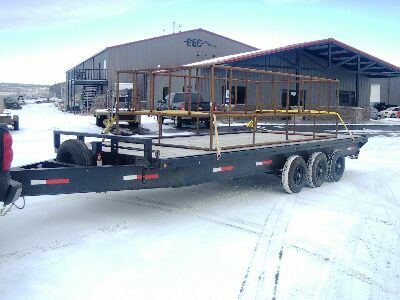 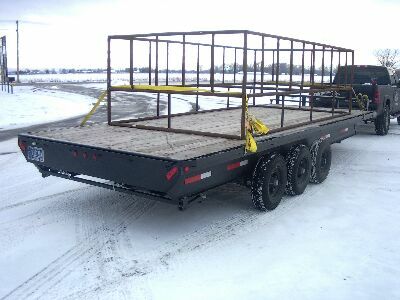 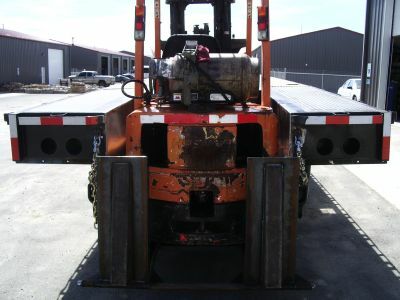 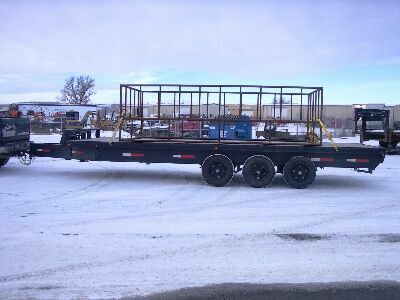 This is a semi-trailer that we modified so the customer can load a forklift on the back of the trailer. 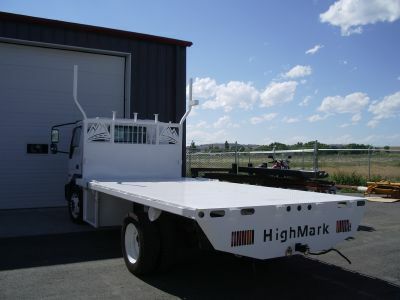 The platform also serves as the ramps to drive the forklift onto the trailer. 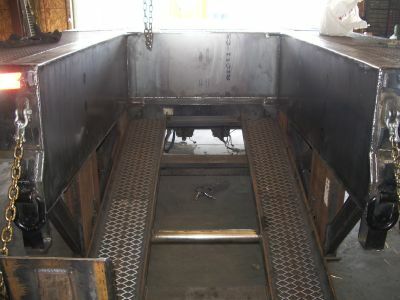 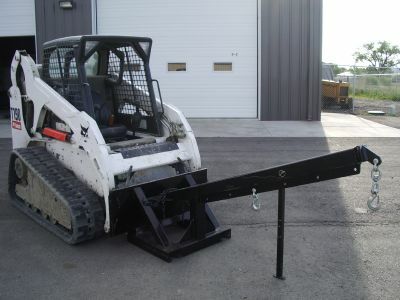 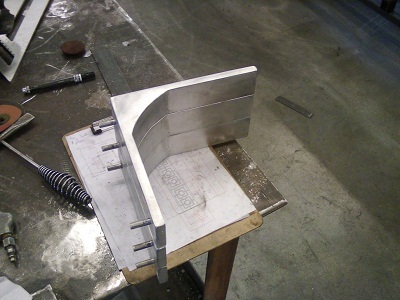 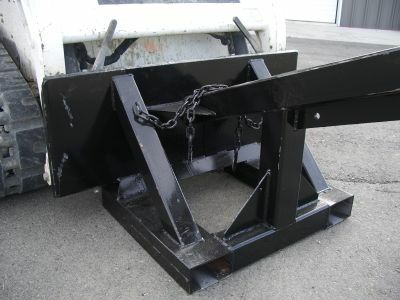 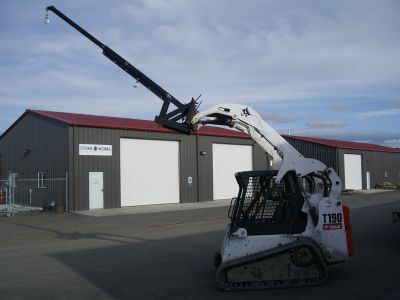 This is a boom that we built to go on a skidsteer loader as well as a forklift.